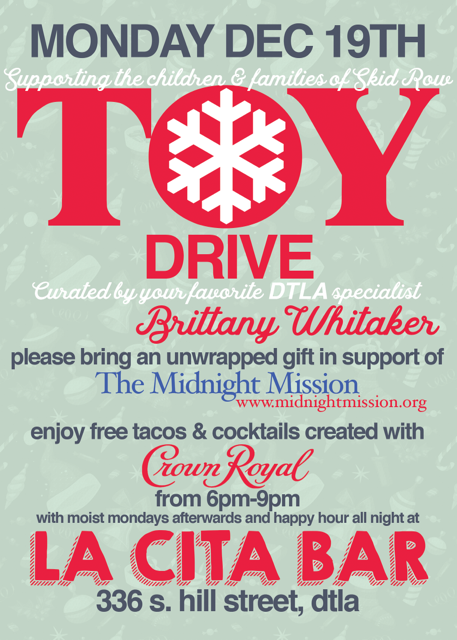 Crown Royal is hosting a Christmas Toy Drive party at La Cita! Featuring FREE TACOS and a special Crown Royal cocktail menu! Please bring an unwrapped gift in support of Midnight Mission! Stay after for Moist Mondays and all night happy hour! RSVP here! Limited availability!